the recent win by popular vote of $500,000 from Microsoft in their 10th global Upgrade Your World contest. This is one busy organization making serious inroads in rescue, legislation, and public awareness campaigns! But, wait, what about other animals? Beagle is highlighted in the name because they are the most popular choice for research labs. 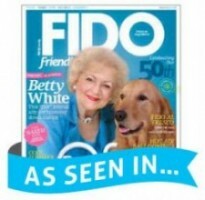 This mission includes all dogs, cats, pigs, horses, ferrets, rabbits, turtles, and others. I came across cats and a lovely rabbit from Switzerland when looking through their pages of adoptable animals. Cats, as you can imagine, do not do well in research labs, and the truth is more die during testing due to the invasive nature of biomedical research . You may have seen photos on social media that you never wanted to see. I won’t go into detail. There are problems in the law, how the FDA requires animal testing for drugs, vaccines, and other biologics and medical devices to prove safety. Manufacturer’s have to follow these laws. 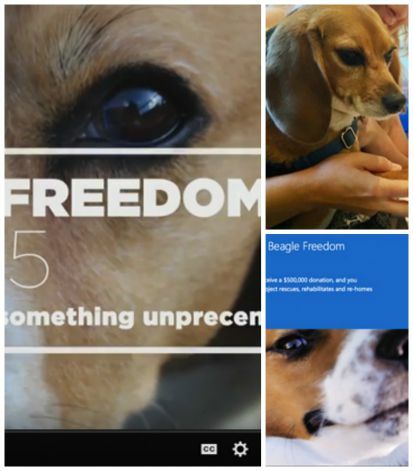 Beagle Freedom Project supports a Federal Ban on animal testing, given the current science available. More on that in the recording below. I love Beagle Freedom Project! I'm so glad they won that money, I know it will make a big difference. It is a wonderful win, I just wish they never had to be freed because I wish we didn't test on animals. @HeartLikeADog Yes, exactly - I keep asking what's taking so long and I'll have a new podcast the second week of October that will provide an answer to that =) Thanks for stopping by Jodi! 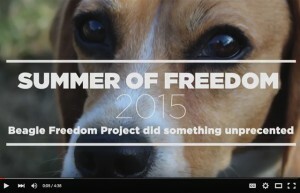 we love the Beagle Freedom Project. While I am sure I have enjoyed the benefits of animal testing over the years, it is too hard to stomach once you understand the consequences. Great interview! My opinions on animal testing have completely reversed since I was a young adult as I gradually became more knowledgable. The work Beagle Freedom does to educate people and change lives of animals is invaluable. Thank you for a great interview. They do great work! Mr. N wasn't socialized at all when he was a puppy and had no idea what to do with toys. Can't believe the beagles have to spend their whole lives like that! I follow Beagle Freedom on all of their social media. I love the work they do and believe no animals should be used in testing. We are home to Chimp Haven which is a "retirement" community for test chimpanzees. @MaryEHaight Hey Mary, I just wanted to clarify that I don't work with Chimp Haven. It is located on the outskirts of our city and it is something we are very proud to have locally. They provide a wonderful place for the chimps to live out their lives. There is no need to test on animals. It is simply barbaric. @mk_clinton Oh! Thanks for clearing that up MK! I will never forget the video of Beagles seeing grass for the first time in their lives; not knowing what it is and what to do about it. Cookie, when we got her, had no concept of man-made surfaces or structures such as stairs. It was a big challenge for her to adjust to all that. But I think it's nowhere as sad as not knowing what grass is. 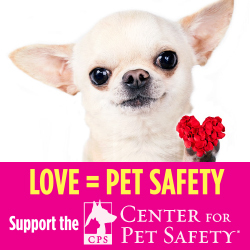 Previous post: Pet Safety: How Safe Are Pet Products?